Josh Brown|Miami Valley Today file Newton senior Erin Norman recently signed a letter of intent to play softball for Bluffton University. PLEASANT HILL — Erin Norman’s biggest concern when it came to choosing a college to attend may have been having to make a choice at all. Luckily, Bluffton practically made the decision for her. Norman signed her national letter of intent to attend Bluffton University in mid-March, choosing to play softball for the Division III Beavers, members of the Heartland Collegiate Athletic Conference. Norman said the the environment — particularly the small-school atmosphere, coming from a high school like Newton — as well as the people were the biggest things drawing her towards Bluffton. 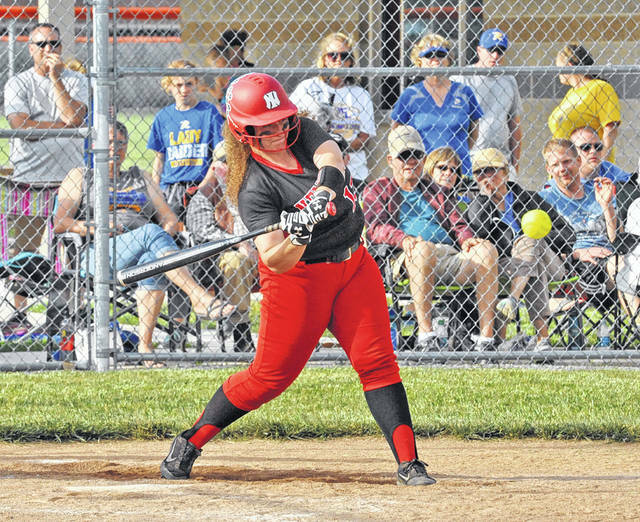 For Norman, one of the leaders and one of only two seniors on the Indians varsity softball team, the other options evaporated once she got to experience what Bluffton had to offer. The choice of college was the only future decision that was difficult for her, too. Norman already knows what she is going to Bluffton for — she plans on double-majoring in early childhood education and intervention. And with her senior season with the Indians just about to start when she made the commitment, Norman said it was a weight off her shoulders going into her final softball season at Newton — a team that she saw plenty of success with last year. The Indians won the outright Cross County Conference championship and reached the Division IV regional tournament in the postseason for the first time since 2015, with the season coming to an end in a regional semifinal loss. https://www.dailycall.com/wp-content/uploads/sites/30/2019/04/web1_051518jb_new_erinnorman.jpgJosh Brown|Miami Valley Today file Newton senior Erin Norman recently signed a letter of intent to play softball for Bluffton University.